I.The general home inspection is based on the observations made on the date of the inspection, and not a prediction of future conditions. II.The general home inspection will not reveal every issue that exists or ever could exist, but only those material defects observed on the date of the inspection. 1.2. A material defect is a specific issue with a system or component of a residential property that may have a significant, adverse impact on the value of the property, or that poses an unreasonable risk to people. The fact that a system or component is near, at or beyond the end of its normal useful life is not, in itself, a material defect. I. An inspection is not technically exhaustive. II. An inspection will not identify concealed or latent defects. III. An inspection will not deal with aesthetic concerns or what could be deemed matters of taste, cosmetic defects, etc. IV. An inspection will not determine the suitability of the property for any use. V. An inspection does not determine the market value of the property or its marketability. VI. An inspection does not determine the insurability of the property. VII. An inspection does not determine the advisability or inadvisability of the purchase of the inspected property. VIII. An inspection does not determine the life expectancy of the property or any components or systems therein. IX. An inspection does not include items not permanently installed. X. These Standards of Practice apply only to properties with four or fewer residential units. A. property boundary lines or encroachments. B. the condition of any component or system that is not readily accessible. C. the service life expectancy of any component or system. D. the size, capacity, BTU, performance or efficiency of any component or system. E. the cause or reason of any condition. F. the cause for the need of correction, repair or replacement of any system or component. H. compliance with codes or regulations. I. the presence of evidence of rodents, birds, animals, insects, or other pests. J. the presence of mold, mildew or fungus. K. the presence of airborne hazards, including radon. M. the existence of environmental hazards, including lead paint, asbestos or toxic drywall. N. the existence of electromagnetic fields. O. any hazardous waste conditions. P. any manufacturers’ recalls or conformance with manufacturer installation, or any information included for consumer protection purposes. R. correction, replacement or repair cost estimates. S. estimates of the cost to operate any given system. A. any system that is shut down. B. any system that does not function properly. D. any system that does not turn on with the use of normal operating controls. E. any shut-off valves or manual stop valves. F. any electrical disconnect or over-current protection devices. H. moisture meters, gas detectors or similar equipment. A. move any personal items or other obstructions, such as, but not limited to: throw rugs, carpeting, wall coverings, furniture, ceiling tiles, window coverings, equipment, plants, ice, debris, snow, water, dirt, pets, or anything else that might restrict the visual inspection. B. dismantle, open or uncover any system or component. C. enter or access any area that may, in the opinion of the inspector, be unsafe. D. enter crawlspaces or other areas that may be unsafe or not readily accessible. E. inspect underground items, such as, but not limited to: lawn-irrigation systems, underground storage tanks or other indications of their presence, whether abandoned or actively used. F. do anything which may, in the inspector’s opinion, be unsafe or dangerous to the inspector or others, or damage property, such as, but not limited to: walking on roof surfaces, climbing ladders, entering attic spaces, or negotiating with pets. H. inspect common elements or areas in multi-unit housing. I. inspect intercoms, speaker systems or security systems. J. offer guarantees or warranties. K. offer or perform any engineering services. 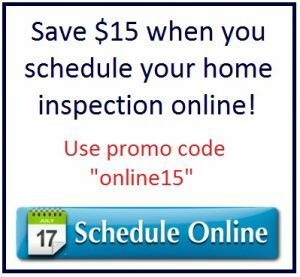 L. offer or perform any trade or professional service other than general home inspection. M. research the history of the property, or report on its potential for alteration, modification, extendibility or suitability for a specific or proposed use for occupancy. N. determine the age of construction or installation of any system, structure or component of a building, or differentiate between original construction and subsequent additions, improvements, renovations or replacements. O. determine the insurability of a property. P. perform or offer Phase 1 or environmental audits. Q. inspect any system or component that is not included in these Standards. E. the general structure of the roof from the readily accessible panels, doors or stairs. A. the type of roof-covering materials. A. observed indications of active roof leaks. A. walk on any roof surface. B. predict the service life expectancy. C. inspect underground downspout diverter drainage pipes. D. remove snow, ice, debris or other conditions that prohibit the observation of the roof surfaces. F. inspect antennae, satellite dishes, lightning arresters, de-icing equipment, or similar attachments. G. walk on any roof areas that appear, in the opinion of the inspector, to be unsafe. H. walk on any roof areas if it might, in the opinion of the inspector, cause damage. I. perform a water test. J. warrant or certify the roof. K. confirm proper fastening or installation of any roof-covering material. I. vegetation, surface drainage, retaining walls and grading of the property, where they may adversely affect the structure due to moisture intrusion. A. the type of exterior wall-covering materials. A. any improper spacing between intermediate balusters, spindles and rails. A. inspect or operate screens, storm windows, shutters, awnings, fences, outbuildings, or exterior accent lighting. B. inspect items that are not visible or readily accessible from the ground, including window and door flashing. C. inspect or identify geological, geotechnical, hydrological or soil conditions. D. inspect recreational facilities or playground equipment. E. inspect seawalls, breakwalls or docks. F. inspect erosion-control or earth-stabilization measures. G. inspect for safety-type glass. J. inspect wells or springs. K. inspect solar, wind or geothermal systems. L. inspect swimming pools or spas. M. inspect wastewater treatment systems, septic systems or cesspools. N. inspect irrigation or sprinkler systems. O. inspect drainfields or dry wells. P. determine the integrity of multiple-pane window glazing or thermal window seals. B. the location of the access to the under-floor space. D. any observed cutting, notching and boring of framing members that may, in the inspector’s opinion, present a structural or safety concern. A. enter any crawlspace that is not readily accessible or where entry could cause damage or pose a hazard to the inspector. B. move stored items or debris. C. operate sump pumps with inaccessible floats. D. identify the size, spacing, span or location or determine the adequacy of foundation bolting, bracing, joists, joist spans or support systems. E. provide any engineering or architectural service. F. report on the adequacy of any structural system or component. A. the heating system, using normal operating controls. B. if the heating system was deemed inaccessible. A. inspect or evaluate the interior of flues or chimneys, fire chambers, heat exchangers, combustion air systems, fresh-air intakes, humidifiers, dehumidifiers, electronic air filters, geothermal systems, or solar heating systems. B. inspect fuel tanks or underground or concealed fuel supply systems. C. determine the uniformity, temperature, flow, balance, distribution, size, capacity, BTU, or supply adequacy of the heating system. D. light or ignite pilot flames. E. activate heating, heat pump systems, or other heating systems when ambient temperatures or other circumstances are not conducive to safe operation or may damage the equipment. H. verify thermostat calibration, heat anticipation, or automatic setbacks, timers, programs or clocks. A. the cooling system using normal operating controls. B. if the cooling system was deemed inaccessible. A. determine the uniformity, temperature, flow, balance, distribution, size, capacity, BTU, or supply adequacy of the cooling system. B. inspect portable window units, through-wall units, or electronic air filters. C. operate equipment or systems if the exterior temperature is below 65° Fahrenheit, or when other circumstances are not conducive to safe operation or may damage the equipment. D. inspect or determine thermostat calibration, cooling anticipation, or automatic setbacks or clocks. E. examine electrical current, coolant fluids or gases, or coolant leakage. H. drainage sump pumps with accessible floats. E. the capacity of the water heating equipment, if labeled. D. toilets that were damaged, had loose connections to the floor, were leaking, or had tank components that did not operate. A. light or ignite pilot flames. B. measure the capacity, temperature, age, life expectancy or adequacy of the water heater. C. inspect the interior of flues or chimneys, combustion air systems, water softener or filtering systems, well pumps or tanks, safety or shut-off valves, floor drains, lawn sprinkler systems, or fire sprinkler systems. D. determine the exact flow rate, volume, pressure, temperature or adequacy of the water supply. E. determine the water quality, potability or reliability of the water supply or source. F. open sealed plumbing access panels. G. inspect clothes washing machines or their connections. I. test shower pans, tub and shower surrounds or enclosures for leakage or functional overflow protection. J. evaluate the compliance with conservation, energy or building standards, or the proper design or sizing of any water, waste or venting components, fixtures or piping. K. determine the effectiveness of anti-siphon, back-flow prevention or drain-stop devices. L. determine whether there are sufficient cleanouts for effective cleaning of drains. M. evaluate fuel storage tanks or supply systems. N. inspect wastewater treatment systems. O. inspect water treatment systems or water filters. P. inspect water storage tanks, pressure pumps, or bladder tanks. Q. evaluate wait-time to obtain hot water at fixtures, or perform testing of any kind to water heater elements. R. evaluate or determine the adequacy of combustion air. S. test, operate, open or close: safety controls, manual stop valves, temperature/pressure-relief valves, control valves, or check valves. T. examine ancillary or auxiliary systems or components, such as, but not limited to, those related to solar water heating and hot water circulation. U. determine the existence or condition of polybutylene plumbing. L. smoke and carbon-monoxide detectors. B. the type of wiring observed. E. the absence of smoke detectors. A. insert any tool, probe or device into the main panelboard, sub-panels, distribution panelboards, or electrical fixtures. B. operate electrical systems that are shut down. C. remove panelboard cabinet covers or dead fronts. D. operate or re-set over-current protection devices or overload devices. E. operate smoke or carbon-monoxide detectors. F. measure or determine the amperage or voltage of the main service equipment, if not visibly labeled. G. inspect the fire and alarm system or components. H. inspect the ancillary wiring or remote-control devices. I. activate any electrical systems or branch circuits that are not energized. J. inspect low-voltage systems, electrical de-icing tapes, swimming pool wiring, or any time-controlled devices. K. verify the service ground. L. inspect private or emergency electrical supply sources, including, but not limited to: generators, windmills, photovoltaic solar collectors, or battery or electrical storage facility. M. inspect spark or lightning arrestors. N. inspect or test de-icing equipment. P. determine the accuracy of labeling. D. cleanout doors and frames. E. cleanouts not made of metal, pre-cast cement, or other non-combustible material. A. inspect the flue or vent system. B. inspect the interior of chimneys or flues, fire doors or screens, seals or gaskets, or mantels. C. determine the need for a chimney sweep. D. operate gas fireplace inserts. F. determine the appropriateness of any installation. G. inspect automatic fuel-fed devices. H. inspect combustion and/or make-up air devices. I. inspect heat-distribution assists, whether gravity-controlled or fan-assisted. J. ignite or extinguish fires. K. determine the adequacy of drafts or draft characteristics. L. move fireplace inserts, stoves or firebox contents. M. perform a smoke test. N. dismantle or remove any component. O. perform a National Fire Protection Association (NFPA)-style inspection. P. perform a Phase I fireplace and chimney inspection. C. mechanical exhaust systems in the kitchen, bathrooms and laundry area. B. the approximate average depth of insulation observed at the unfinished attic floor area or roof structure. A.the general absence of insulation or ventilation in unfinished spaces. A. enter the attic or any unfinished spaces that are not readily accessible, or where entry could cause damage or, in the inspector’s opinion, pose a safety hazard. B. move, touch or disturb insulation. C. move, touch or disturb vapor retarders. D. break or otherwise damage the surface finish or weather seal on or around access panels or covers. E. identify the composition or R-value of insulation material. F. activate thermostatically operated fans. G. determine the types of materials used in insulation or wrapping of pipes, ducts, jackets, boilers or wiring. H. determine the adequacy of ventilation. E. garage vehicle doors and the operation of garage vehicle door openers, using normal operating controls. A. a garage vehicle door as manually-operated or installed with a garage door opener. C. any window that was obviously fogged or displayed other evidence of broken seals. A. inspect paint, wallpaper, window treatments or finish treatments. B. inspect floor coverings or carpeting. C. inspect central vacuum systems. D. inspect for safety glazing. E. inspect security systems or components. F. evaluate the fastening of islands, countertops, cabinets, sink tops or fixtures. G. move furniture, stored items, or any coverings, such as carpets or rugs, in order to inspect the concealed floor structure. I. inspect or move any household appliances. J. inspect or operate equipment housed in the garage, except as otherwise noted. K. verify or certify the proper operation of any pressure-activated auto-reverse or related safety feature of a garage door. L. operate or evaluate any security bar release and opening mechanisms, whether interior or exterior, including their compliance with local, state or federal standards. M. operate any system, appliance or component that requires the use of special keys, codes, combinations or devices. N. operate or evaluate self-cleaning oven cycles, tilt guards/latches, or signal lights. O. inspect microwave ovens or test leakage from microwave ovens. P. operate or examine any sauna, steam-generating equipment, kiln, toaster, ice maker, coffee maker, can opener, bread warmer, blender, instant hot-water dispenser, or other small, ancillary appliances or devices. T. inspect items not permanently installed. V. inspect pools, spas or fountains. W. determine the adequacy of whirlpool or spa jets, water force, or bubble effects. X. determine the structural integrity or leakage of pools or spas. crawlspace: The area within the confines of the foundation and between the ground and the underside of the lowest floor’s structural component. evidence: (noun form) That which tends to prove or disprove something; something that makes plain or clear; ground for belief; proof. 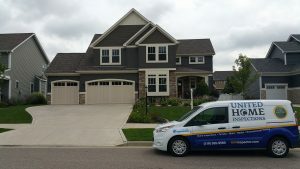 general home inspection: The process by which an inspector visually examines the readily accessible systems and components of a home and operates those systems and components utilizing these Standards of Practice as a guideline. indication: (noun form) That which serves to point out, show, or make known the present existence of something under certain conditions. inspect: To examine readily accessible systems and components safely, using normal operating controls, and accessing readily accessible areas, in accordance with these Standards of Practice. material defect: A specific issue with a system or component of a residential property that may have a significant, adverse impact on the value of the property, or that poses an unreasonable risk to people. The fact that a system or component is near, at or beyond the end of its normal useful life is not, in itself, a material defect. unsafe: In the inspector’s opinion, a condition of an area, system, component or procedure that is judged to be a significant risk of injury during normal, day-to-day use. The risk may be due to damage, deterioration, improper installation, or a change in accepted residential construction standards.